Well, it was only a matter of time. Actually, I’m surprised I’ve only lately come across the question. The formulation echoes previous queries such as “Is Google Making Us Stupid?” and “Is Facebook Making Us Lonely?” In this case, the title does not belong to a fully developed essay in The Atlantic, but rather to a brief blogpost. It was published at The Immanent Frame, a scholarly site devoted to the sociology of religion, and it pointed readers to a recent (and not quite scholarly) piece in the Washington Post by Lisa Miller. The title of Miller’s article dispensed with the pretense of an interrogative, opting instead for a confident declarative: “The religious authorities and pundits are wrong: Technology is good for religion.” So there you have it. Case closed. End of discussion. Although, of course, nothing could be further from the truth. I read a lot about technology and its consequences for individuals, institutions, and society. To the writing of such articles, essays, and books there is now seemingly no end. The quality of such work varies considerably; some of it is thoughtful, some of it hysterical (and not in the humorous sort of way). Perspectives on the relative merits of technology vary greatly as well. There are unabashed critics and boosters, and more temperate souls as well. All of this is as one would expect, and I typically don’t mind reading pieces from points all along the spectrum. 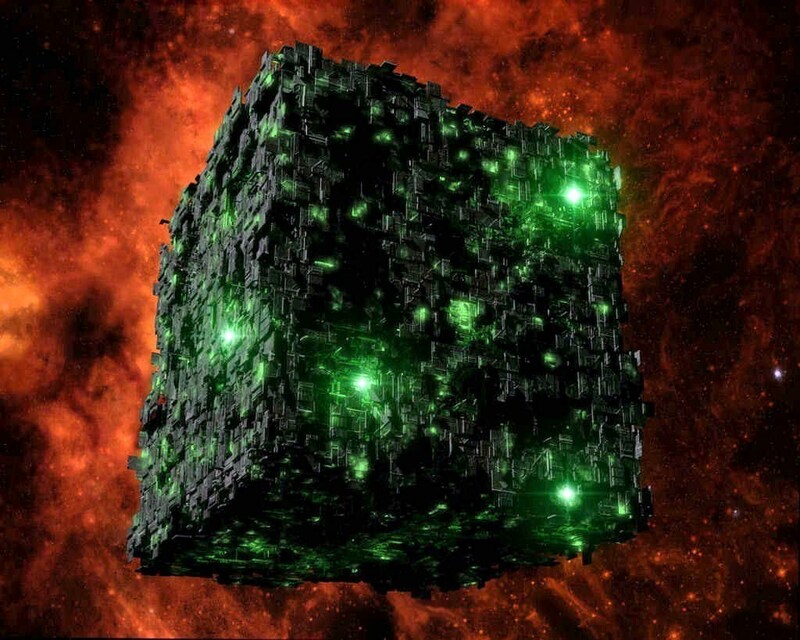 The spirit of the Borg lives in writers and pundits who take it upon themselves to prod on all of those they deem to be deliberately slow on the technological uptake. These self-appointed evangelists of technological assimilation would have us all abandon any critique of technology and simply adapt to the demands of technological society. Except, of course, that when this message is articulated by humans with a Borg Complex it loses the tone of cool, malevolent indifference and instead takes on a tone of grating condescension. The tone is also characterized by the annoying self-assurance of those who have seen the light and feel a mixture of pity and disgust toward the poor souls who remain in the darkness. Miller’s essay is a case in point. Although it displays a milder manifestation, it still helpfully demonstrates some of the standard symptoms of the Borg Complex. In the coming days I might work on a fuller diagnostic guide for the Borg Complex with some suggestions for treatment. Read updates to the Borg Complex case files here. Its ironic I came across this blog post, as a friend and I were having a theological debate about whether technology benefits or hurts religion. I believe technology is good for religion, but not so good for the people who use religion as a vehicle of mind control. Technology enables religious believers to dig deeper into and discover more about their religion. I explained to my friend that as more people became aware, it could become a renaissance for religion. I believe more people actually follow the teachings of the pastor as opposed to discovering the true aspects of their religion and what personal meaning it has for them. That’s certainly a possibility. My aim here was not so much to settle the question; it’s a complex dynamic that probably doesn’t admit of one answer anyway. The Internet does, as you say, make it possible for lay people to learn more about the teachings and history of their tradition. There are other considerations as well, such as the effect of the Internet on the life of communities and the habits of individuals, etc. In any case, my point here was to challenge the “adapt or die” mentality of some of the folks who write about technology and society. Yeah, those folks tick me off too. Makes you wonder where their malevolent attitude comes from…. What’s their agenda?